You are here: Home › Ambulance Services › SJEAS Senior Officer John Le Noury to retire. SJEAS Senior Officer John Le Noury to retire. 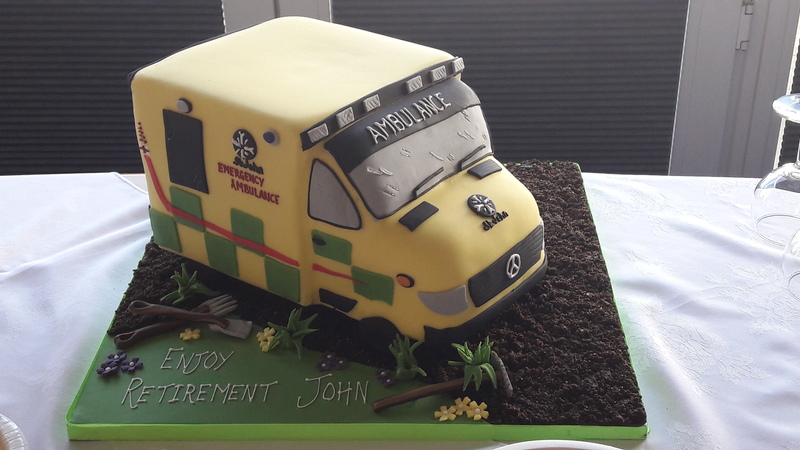 Senior Officer John Le Noury is retiring this week after 24 years with the St John Emergency Ambulance Service. John, who came from a family of growers, joined the service in 1994 after a previous career in horticulture. He gave up growing fruit and flowers when the industry went into decline and initially applied for the non-emergency Patient Transport Service (PTS). 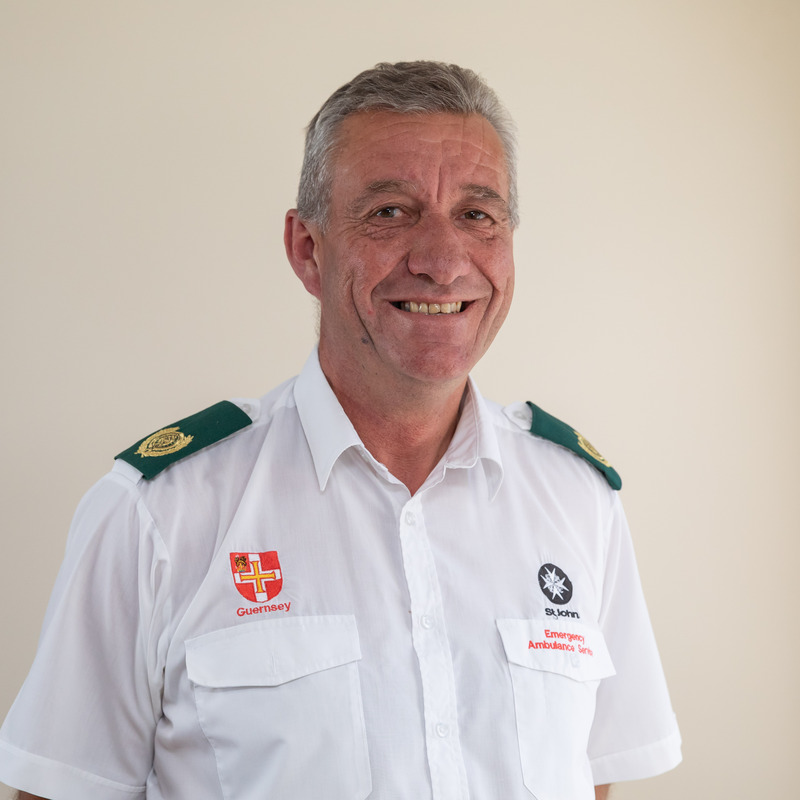 After just over a year with PTS, John trained as an Emergency Medical Technician and later qualified as a Paramedic after attending the ambulance training college in Chippenham. “It was so different to what I had done before, but I soon realised it was the job for me. I remember getting a bit of an adrenaline buzz and I enjoyed the caring aspect of the role. It is a good feeling when you know that you are part of a team that made a difference and your patient has recovered. There are still several people leading normal lives, who I attended as a paramedic and resuscitated,” said John. During his career with the ambulance service John was as member of the Inshore Rescue Boat team and was involved in a number of rescues including an incident at Soldiers Bay for which he received a Recognition of Performance award from the Chief Officer. He was also recognised for the pastoral work he did supporting colleagues after a number of tragedies which occurred in a short space of time. As well as dealing with extremely traumatic and distressing situations. John has also delivered several babies, including some in the back of an ambulance. John has received a huge number of letters of thanks from people he has treated over the years. In 2016 John was presented with his Long Service Award at Government House. John has always been a popular member of staff, happy to share his experience and expertise. For many years he was also the Union Shop steward at the service. In 2015 John became a Deputy Team Leader during which time he also took on the role of Bronze Commander at a number of major incidents and in 2016 he was promoted to Senior Officer with responsibility for Clinical Governance. John was appointed as the Acting Deputy Chief Officer in 2017 supporting the new Chief Officer Ali Marquis. John is now looking forward to spending more time with his family, doing gardening and running more marathons.